Assault and battery are categorized as violent crimes. Assault and battery are often discussed together, they are separate crimes under Florida law. Whereas assault is an act or threat that creates a reasonable apprehension of imminent harm or offensive contact, battery is a physical act that actually results in such harm or contact. Hence, assault is the threat of imminent violence while battery is the actual physical contact. Assault does not involve contact between the offender and the victim, but the intent to threaten, cause the victim to feel fear, or carry out a violent act. In an assault case, the prosecution must show that the defendant had the requisite criminal intent and also that the defendant manifested this threat through the use of words, a gesture, or an intimidating act. Further, the defendant must have had the apparent ability at the time of the assault to actually carry out the threat and the victim must have actually feared imminent harm as a result of such threat. In Florida, the law distinguishes between simple assault, aggravated assault, and felony assault. The respective punishment for the different offenses varies based on the severity of the offense. In the event that physical contact is made with the victim, Florida law provides for battery charges. 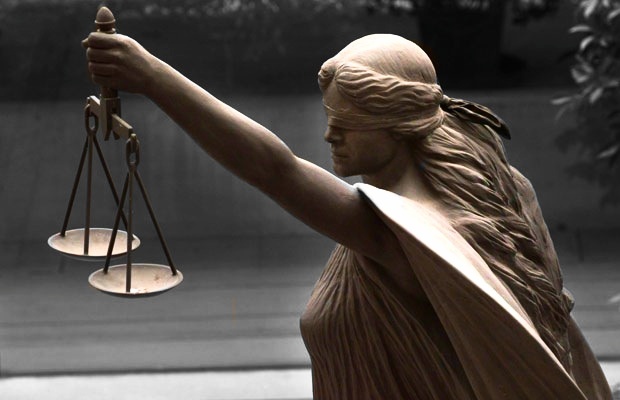 The prosecution must prove that the defendant intentionally touched or struck the victim without the victim’s consent and against the victim’s will. Under Florida law, there are several different categories of battery including simple battery and aggravated battery. 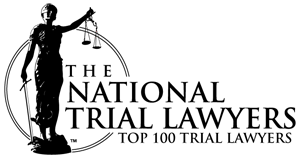 Simple battery requires that the defendant committed an unwanted touching of the victim with the intent to cause this physical contact without the victim’s consent, whereas aggravated battery requires that the defendant committed such act with the intent to cause serious bodily injury to the victim or that the defendant used a deadly weapon. The penalty in Florida for simple assault, which is a second-degree misdemeanor, can include imprisonment for up to sixty days and/or a fine of up to $500. Aggravated assault is a third-degree felony under Florida law and can result in imprisonment for up to five years and/or a fine of $5,000. Simple battery is a first-degree misdemeanor. The state can request imprisonment for the maximum of one year and a fine of $1,000. Felony battery is a third-degree felony, which can result in imprisonment for up to five years and/or a fine of $5,000. Aggravated battery is a second degree felony, where the defendant can face imprisonment for up to fifteen years and/or a fine of $10,000. Battery on a Law Enforcement Officer carries increased penalties. Have you been charged with assault or battery? If so, there are various defenses that may be applicable in your case. It is important that you contact an attorney in order to discuss defense strategies immediately. Defenses that may be applicable include, but are not limited to lack of intent, consent, self-defense, defense of another person, defense of property, or an accident. If you are facing charges for assault or battery, it is imperative that you secure legal counsel. The consequences for such charges may be severe. 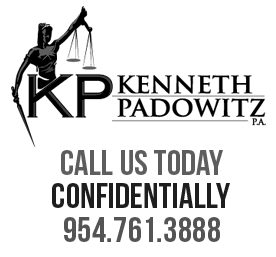 Kenneth Padowitz aggressively defends all assault cases for clients throughout Broward County and all of South Florida, including: Fort Lauderdale, Boca Raton, Miami, Palm Beach, Parkland, and Weston. Broward criminal lawyer, Kenneth Padowitz, is known for his legal expertise and will work with clients to explain the charges that they are facing so that they may develop and implement an effective plan of strategies for any and all charges. Contact our Fort Lauderdale criminal attorney at 954-761-3888 or via email to set up a time for an initial consultation.